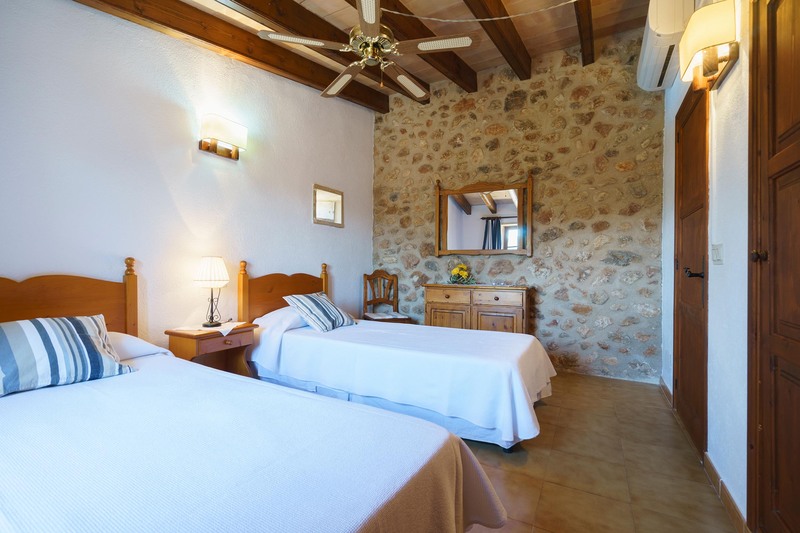 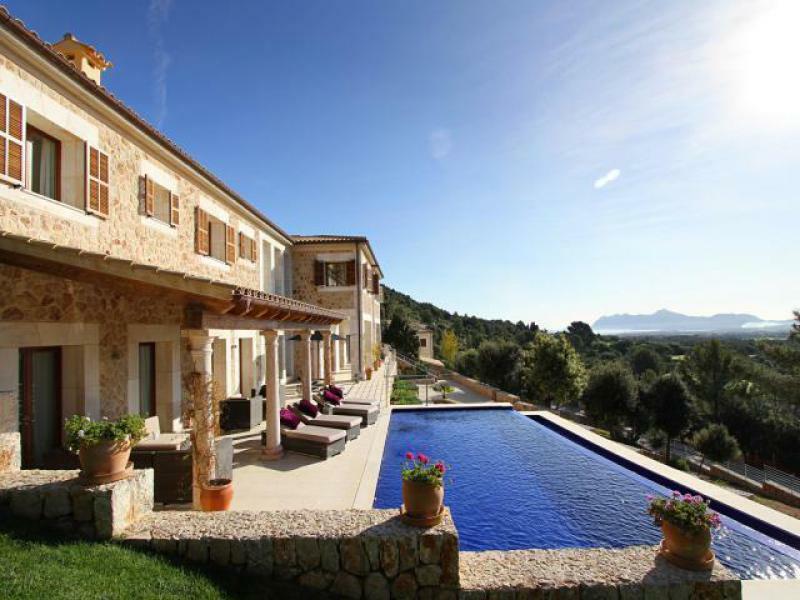 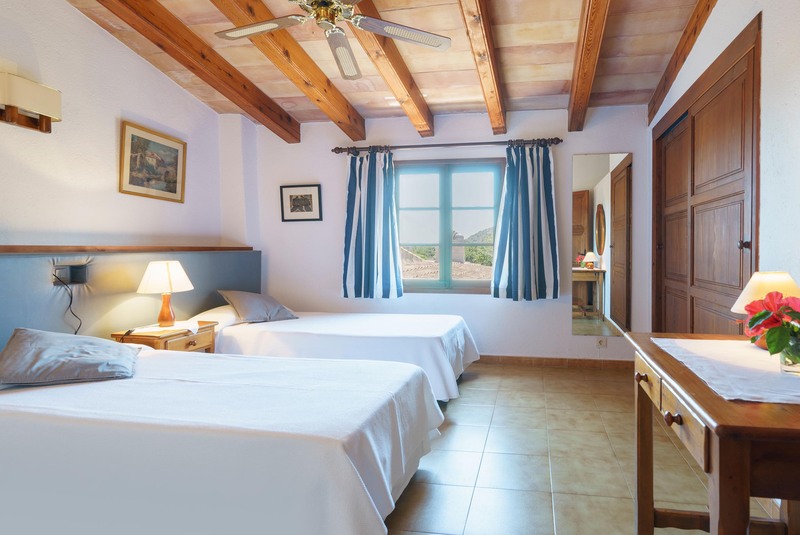 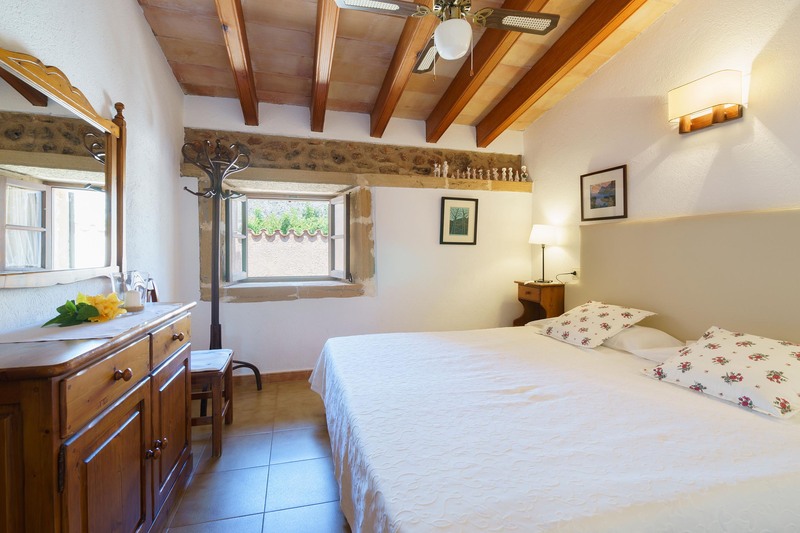 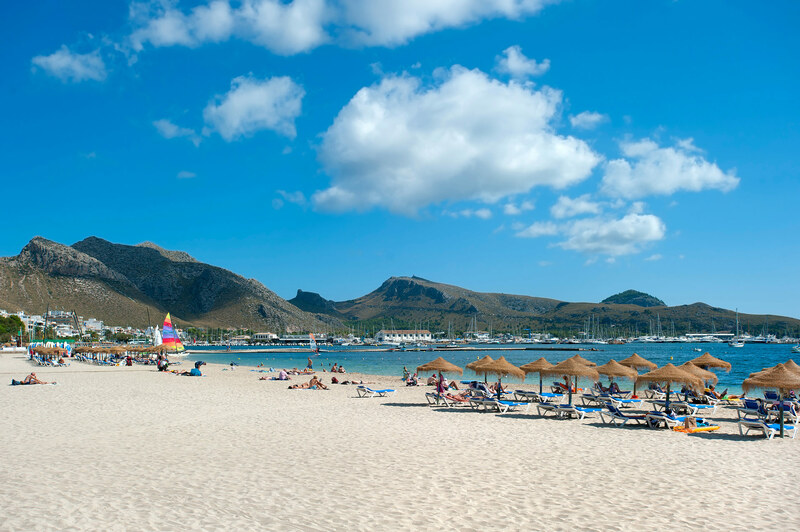 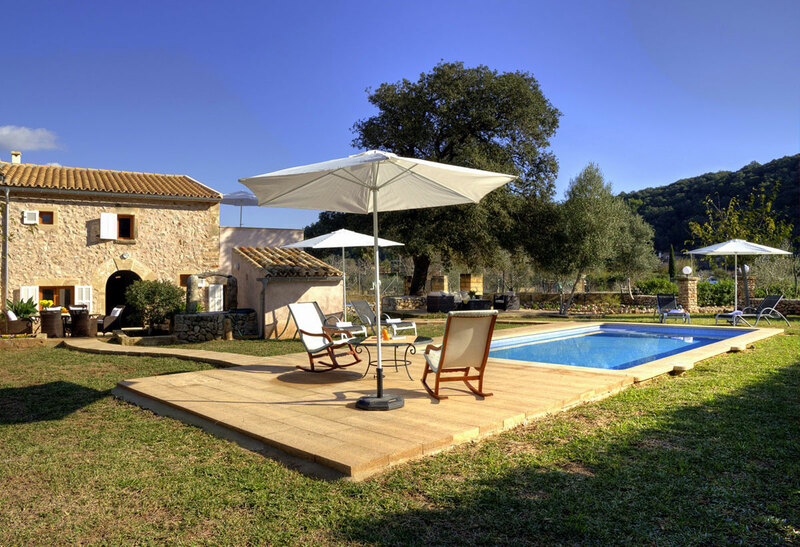 Close to Pollensa en la Huerta de La Font you find this typical Mallorcan finca. 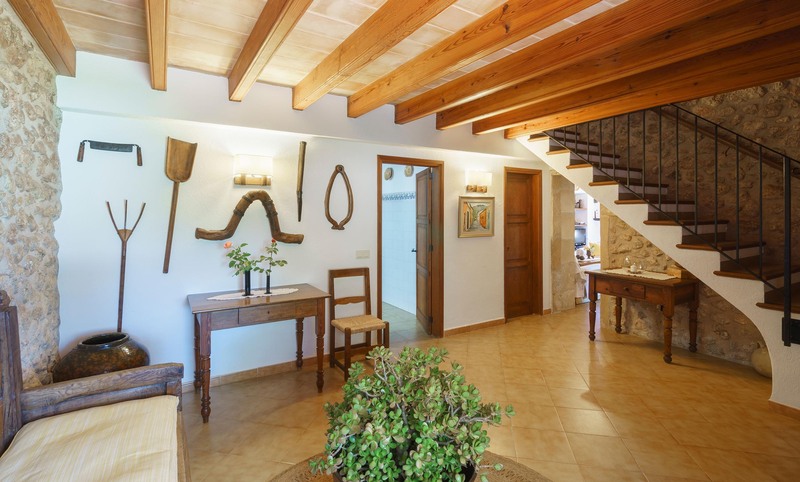 Passing an iron gate along figues and almond trees you come to the main-entrance of the house. 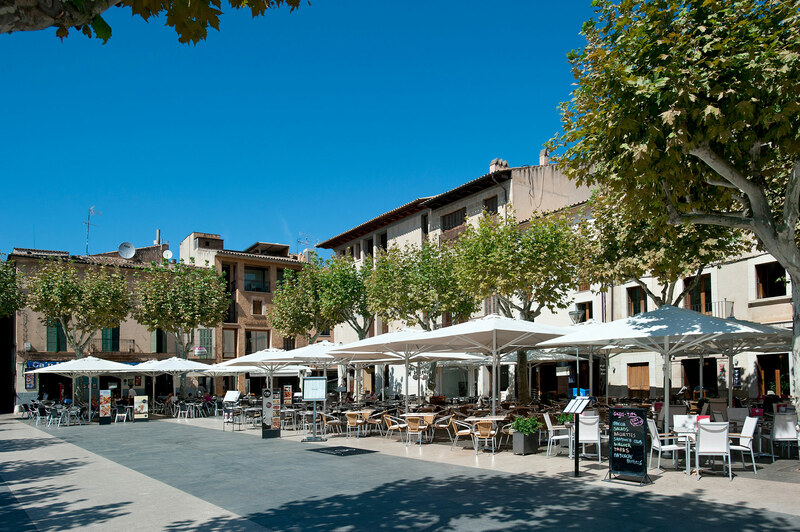 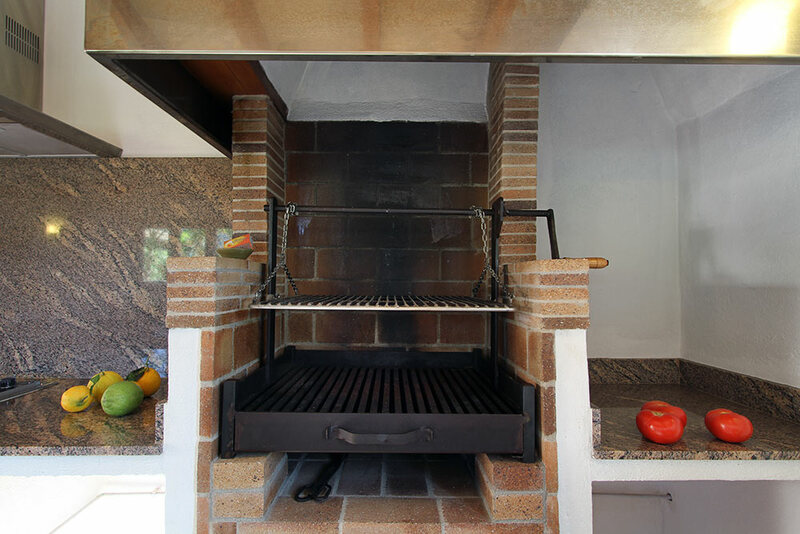 A covered terrace you find beside with wooden tables and a grill-BBQ place. 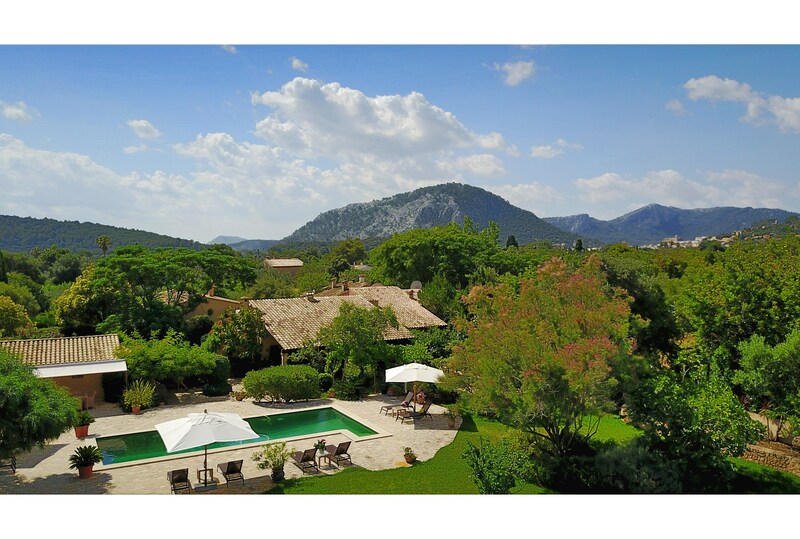 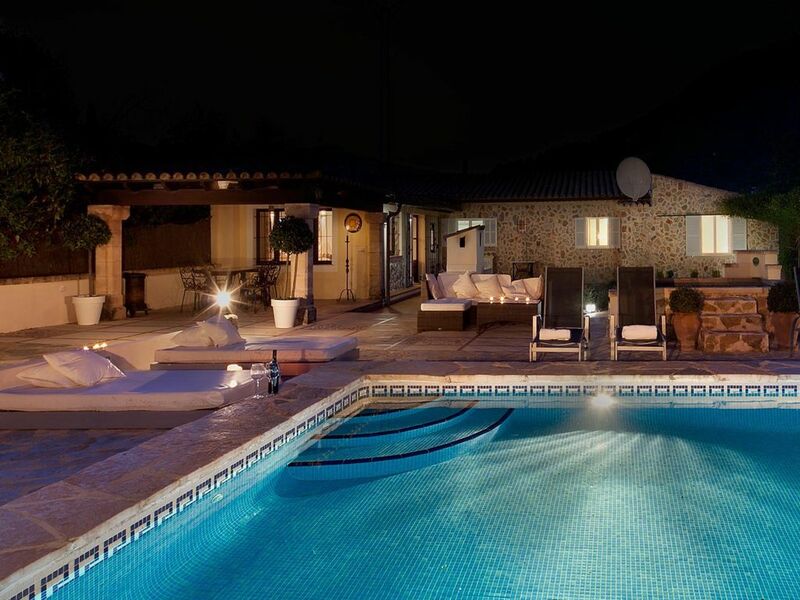 In front you see the large pool over 12 m long surrounded by a terrace and lawns. 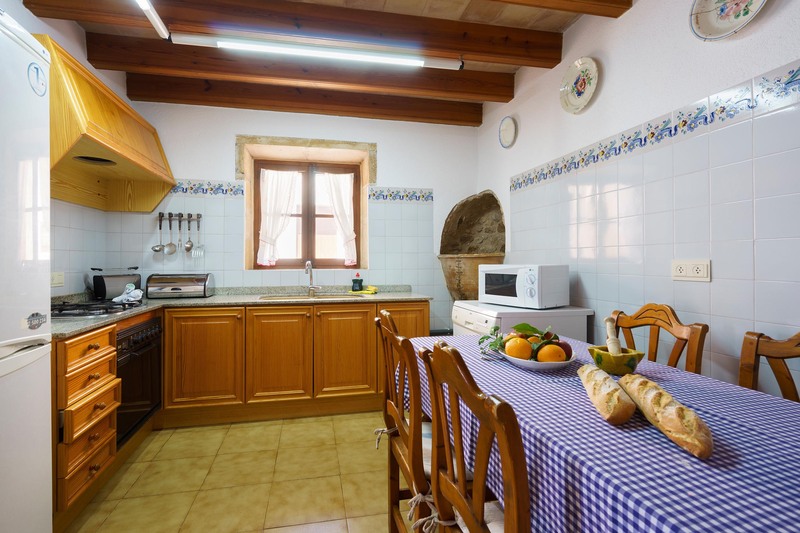 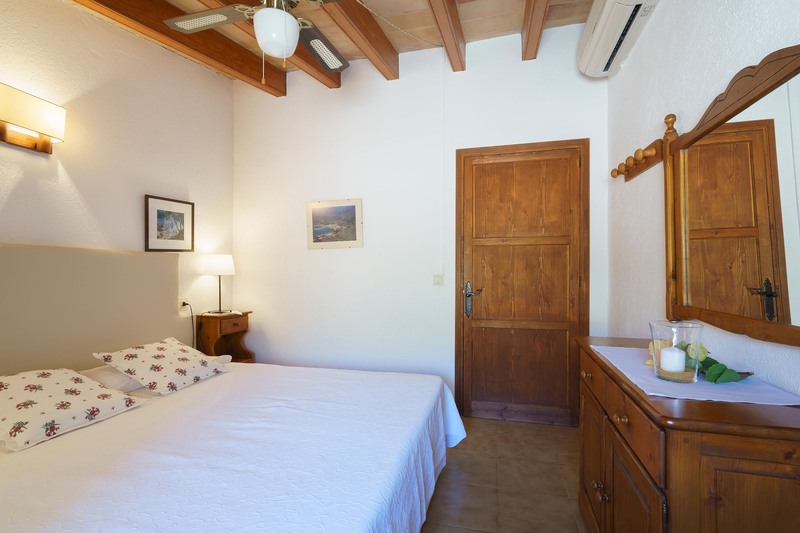 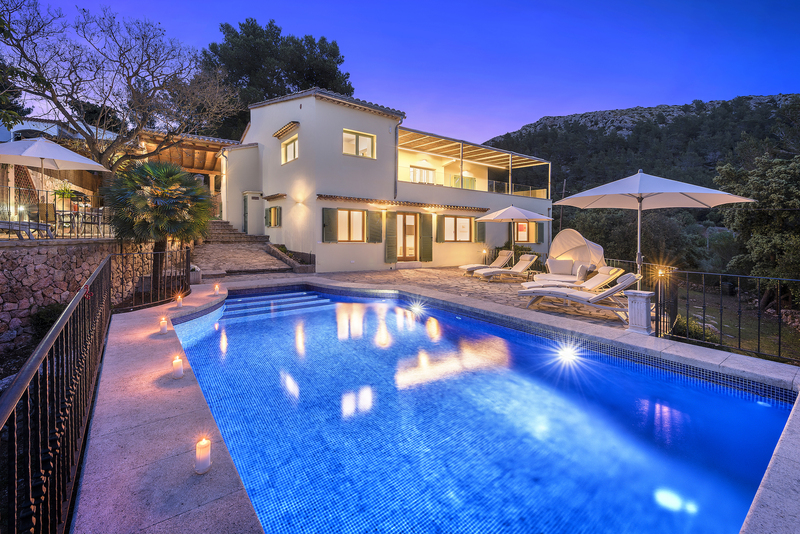 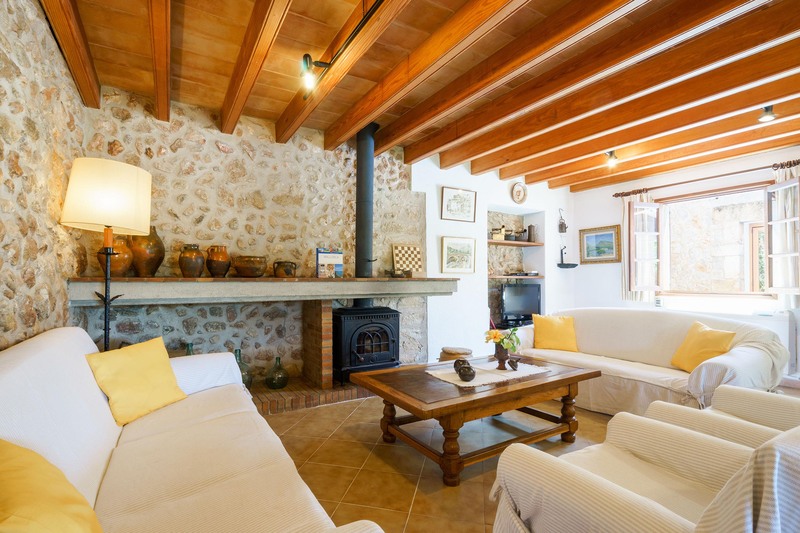 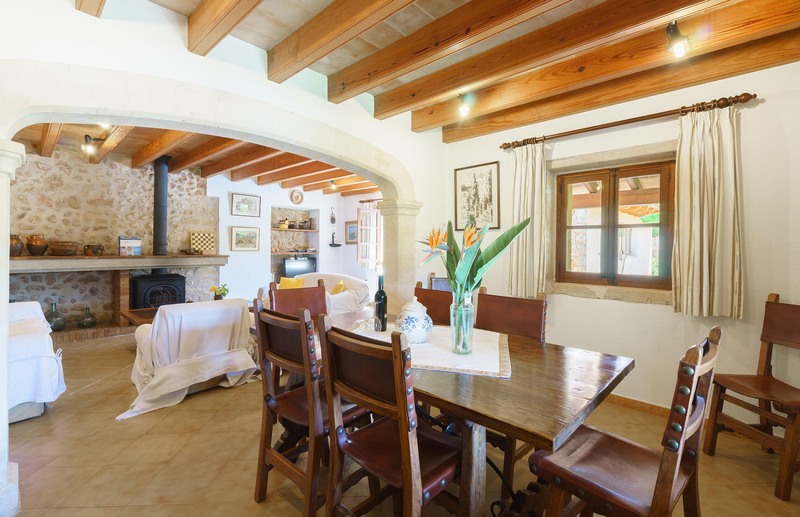 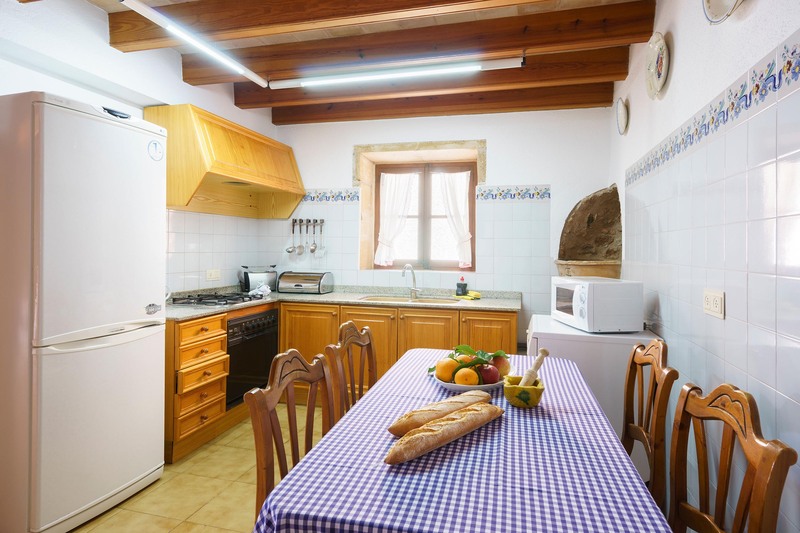 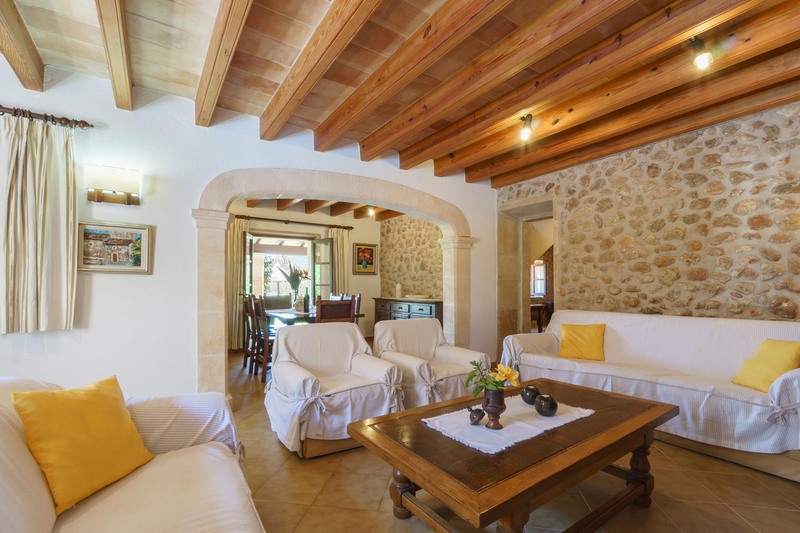 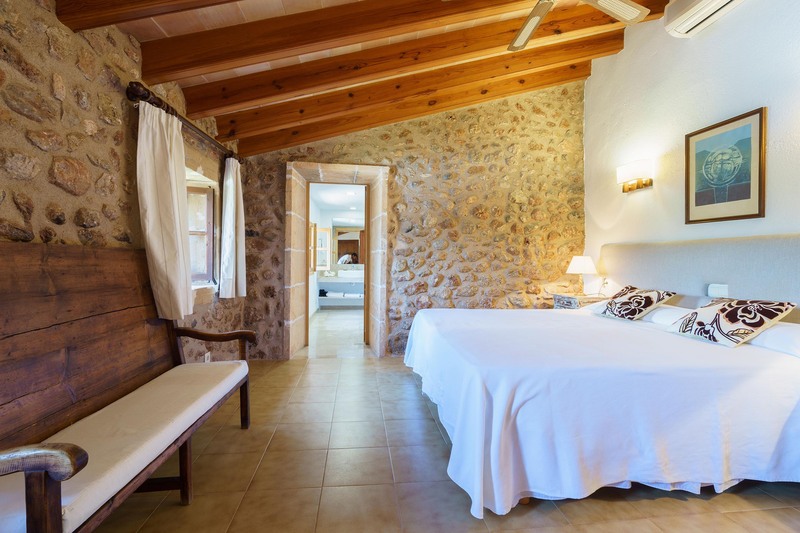 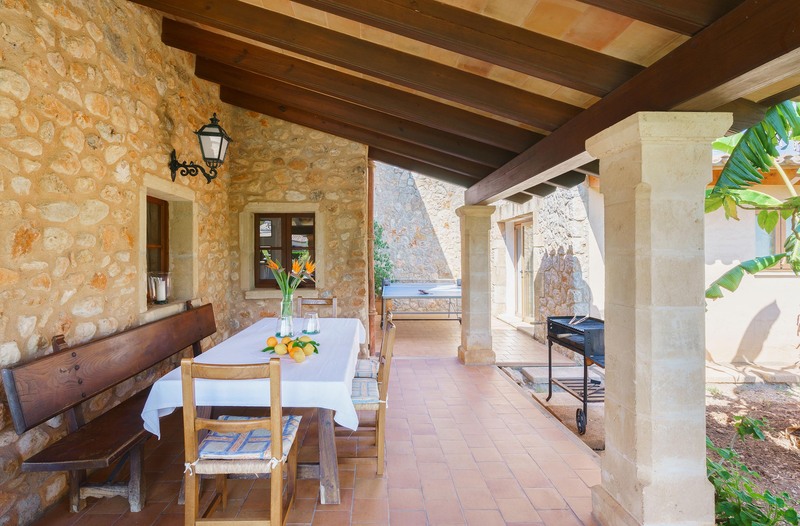 The entrance of the villa leads to the kitchen and to a very large sitting-dining room, which walls are made of rustic stones that create a charming, tipical mallorcan ambience. 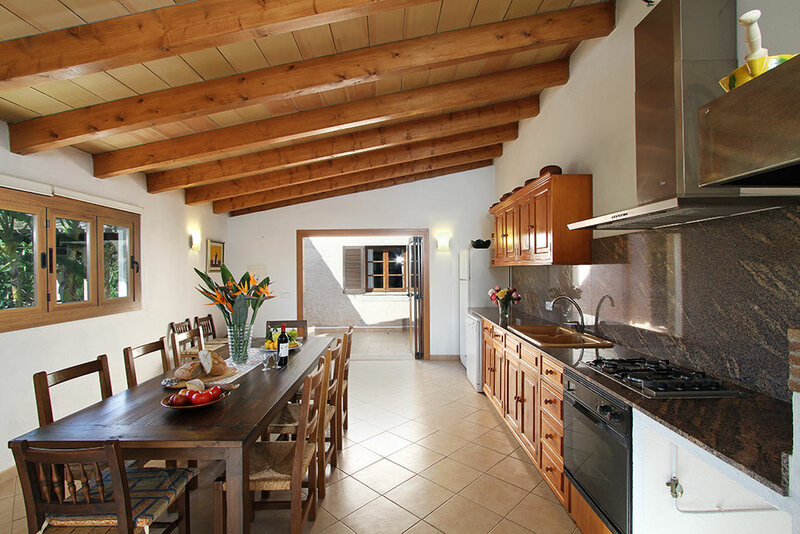 Upstairs you find 4 large bedrooms, 3 twins and 1 double. 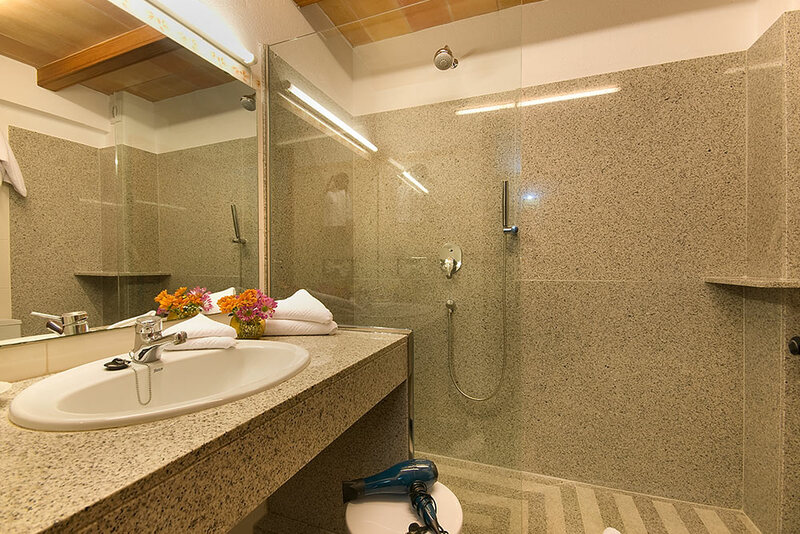 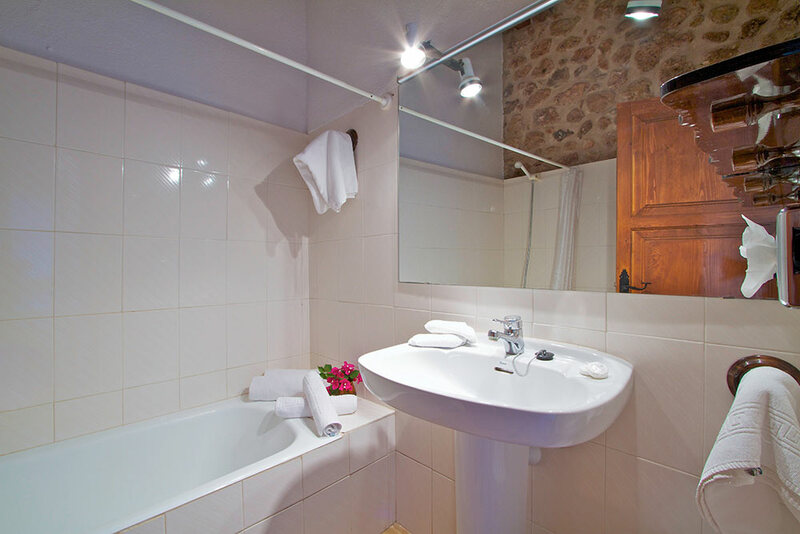 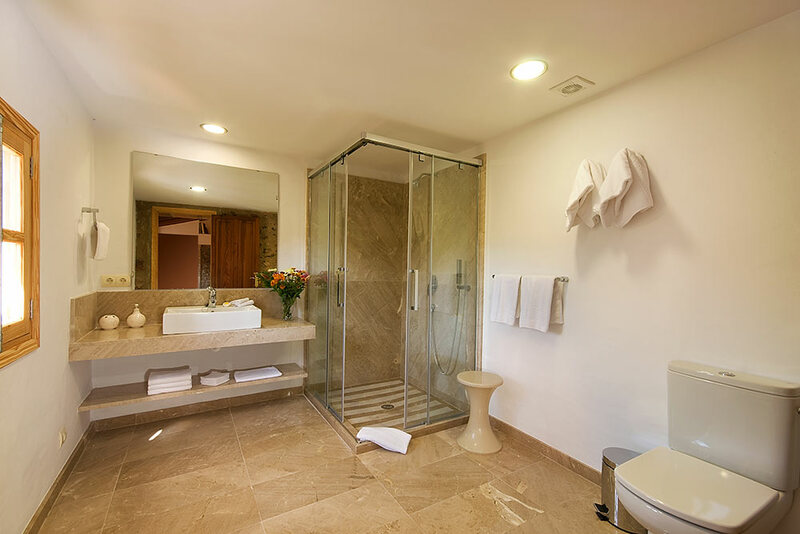 Two bathrooms with bath/shower are in between these rooms.